AUGUST 3--Days before Private James Marshall Hendrix (Jimi to his friends) was officially drummed out of the military, Army brass delivered withering assessments of the 19-year-old soldier. Hendrix, Captain Gilbert Batchman reported, slept on the job, had little regard for regulations, and was once "apprehended masturbating" in the latrine. Sergeant Louis Hoekstra noted that Hendrix was a "habitual offender" when it came to missing midnight bed checks and that the Seattle teenager was unable to "carry on an intelligent conversation." Hoekstra added that Hendrix, who was once suspected of "taking dope," played a musical instrument while off-duty, "or so he says. This is one of his faults, because his mind apparently cannot function while performing duties and thinking about his guitar." Those are just two of the gems contained in the late rock star's nearly 100-page Army file, which TSG obtained from the National Personnel Records Center in St. Louis. You'll find highlights from the file on these 18 pages. 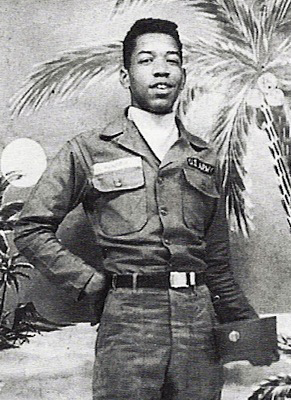 The documents track Hendrix's messy 13 months in the Army, beginning with his May 1961 three-year enlistment, which came with his assurance that he wasn't a Commie and a handwritten explanation about a juvenile burglary arrest. Hendrix, records show, was also a terrible marksman and a recidivist truant. Weeks after ordering a physical and psychiatric examination of Hendrix (who was attached to the 101st Airborne Support Group in Fort Campbell, Kentucky), Capt. Batchman sought to discharge a soldier who was an "extreme intravert" and whose many problems were not treatable by "hospitalization and or counseling." Included in the Army's discharge request were various statements from fellow soldiers, all of whom thought Hendrix deserved to be bounced. James Mattox, for example, recalled an April 1961 incident in which he, Hendrix, and four other soldiers were assigned to wash a ceiling. When Hendrix, who occasionally napped during the cleaning assignment, disappeared at one point, Mattox went looking for him. He quickly found Hendrix in the latrine, where he was "sitting in the last commode. I thought he was sitting there sleeping so I stood on the stool in the commode next to his and...there sat Hendrix masturbating himself." For his part, Hendrix--who apparently hated life as an enlisted man--did not challenge the discharge request, according to a signed statement.